Flint W tower of 1704. 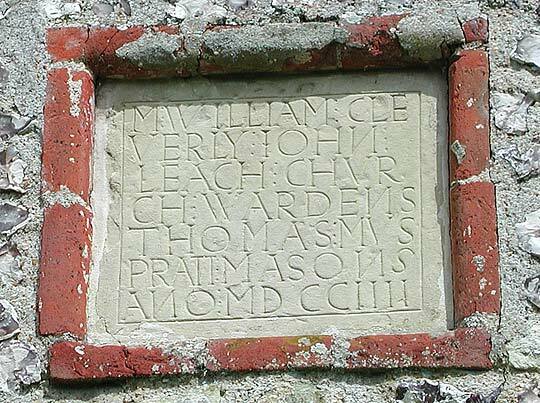 Much of the N aisle C18 brick. 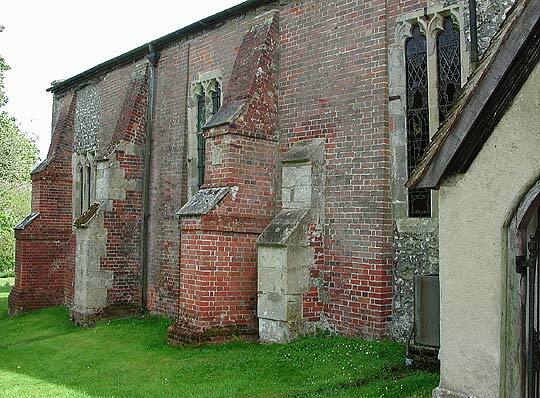 The medieval external features are Perp, except for the Norman doorway with one order of columns and a simple arch. 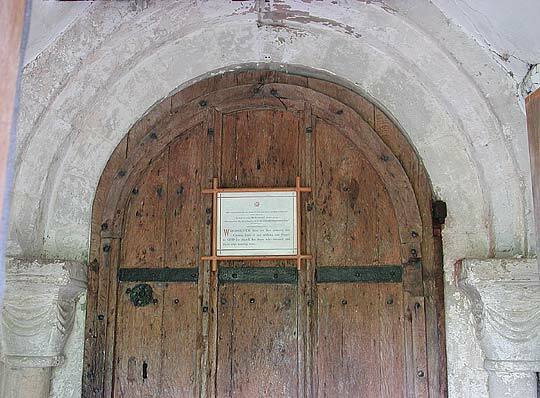 14th century oak door. 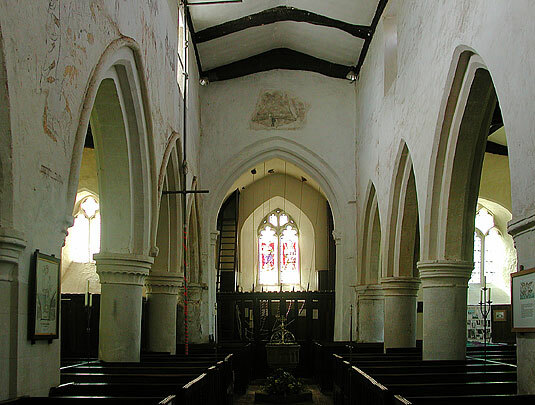 But the interior contains a complicated architectural story which may have taken place as follows. 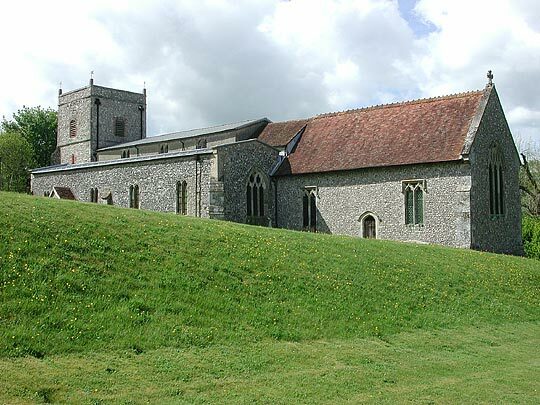 First, about 1200, an aisleless church was given a S aisle of three bays (in Transitional style between Norman and Early English). The arcade had the usual round piers and round abaci, with capitals of flat, broad, simple leaves. Pointed arches with one step and one slight chamfer. 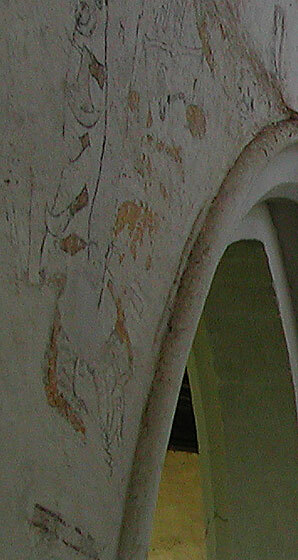 At about the same time the tower arch was made (the painting above it of a bell is C18), though the height of the responds cannot be 1200, and so they may be re-used from somewhere else, e.g. 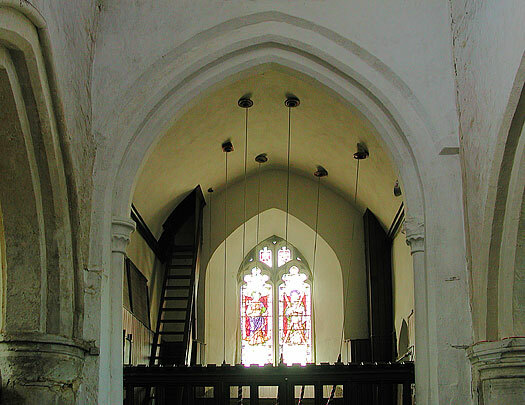 the chancel arch, which is not now in its state of 1200. 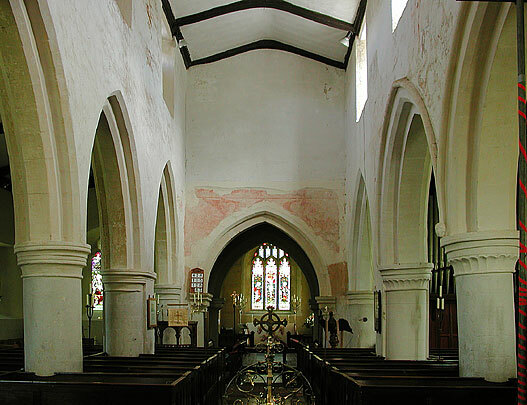 There was a chancel; for the W respond of the present S crossing arch - it looks like four crossing arches, but it was not a crossing - was part of the arch into a S chancel chapel. Then the N arcade was built, very soon after. 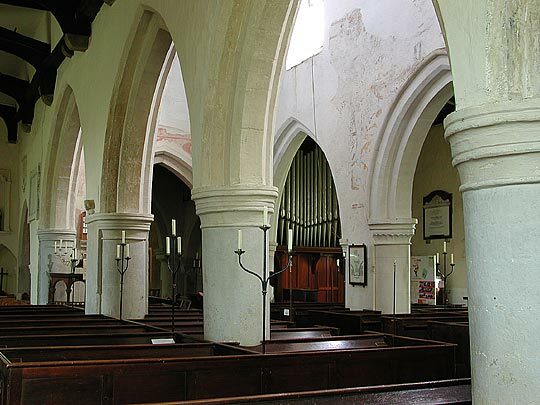 The capitals are now moulded, and the arches have two slight chamfers. 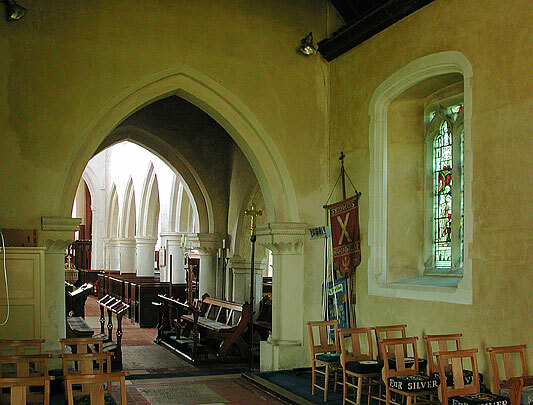 This arcade was at once continued by one bay to the E, beyond the line where the original chancel arch had been (hence the thickness of wall). At the same time the S arcade was equally lengthened. 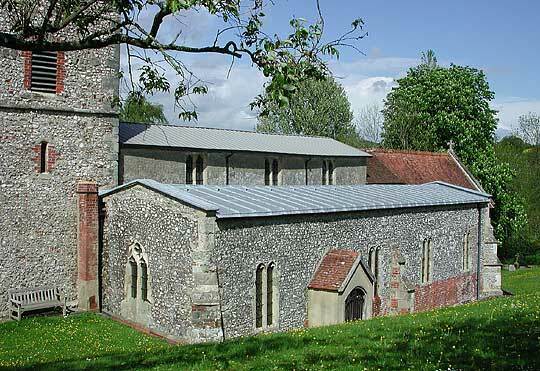 Then a N chapel was built opposite the S chapel of 1200, though the date of the N chapel is uncertain. This history is not conclusive, and that of the VCH (Victoria County History) ought to be looked at as well as a comparison. 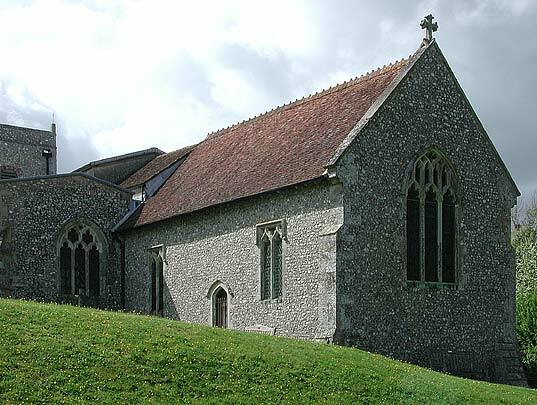 Around 1400, extensions were made in the Perpendicular style. 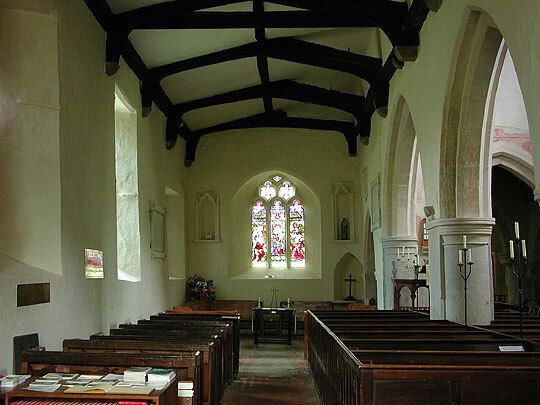 The nave walls were raised and clerestory windows inserted. Both aisles were widened and heightened and tall windows inserted. 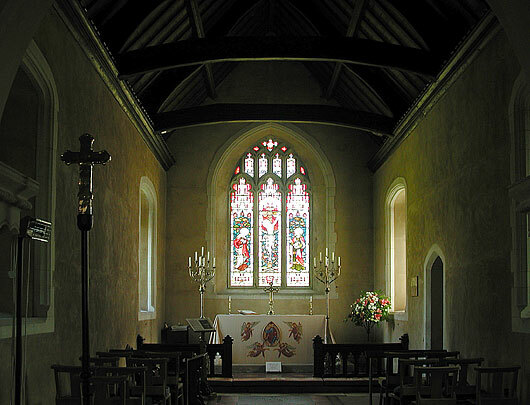 A new chancel was added at the east end (last two pictures). 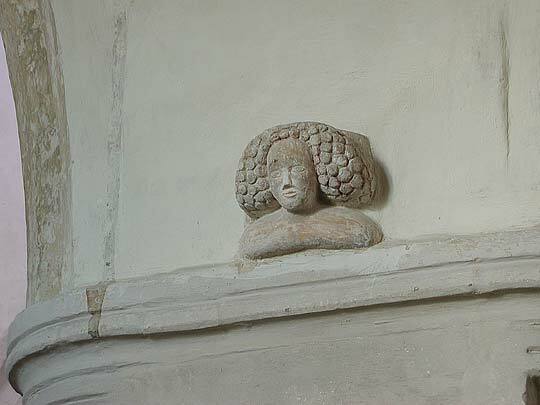 Carved head on capital in north aisle, date unknown. 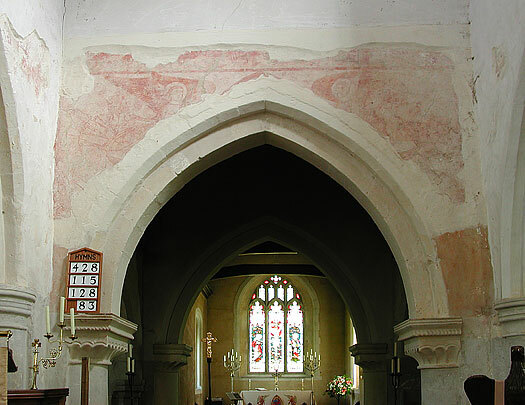 Over the chancel arch remains of a painting believed to be Anglo-Saxon from King Canute's time in the early 11th century. 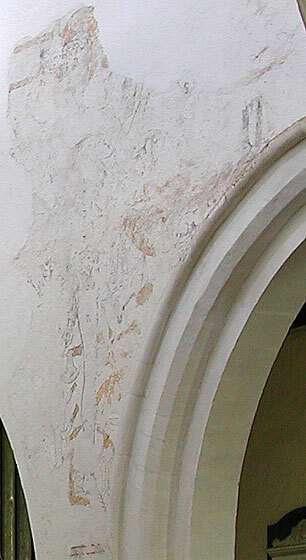 It represented “Christ in Majesty” but only the top remains after the Normans widened the arch. 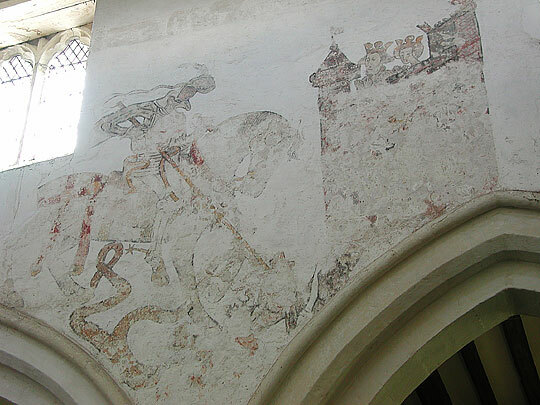 Wall Paintings. 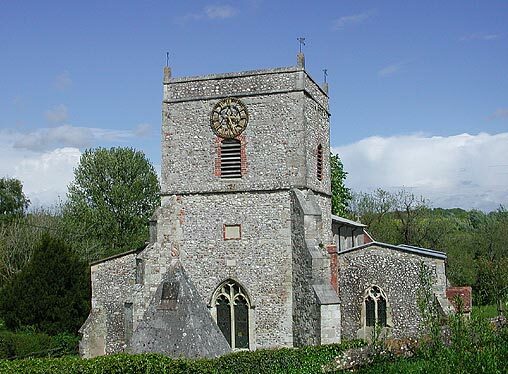 St George and the Dragon, the tower on the r. To the l. of St George traces of a St Michael with the scales. Early C15. 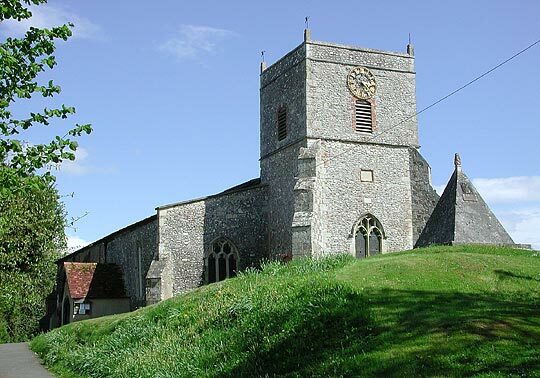 The scales may have misled Pevsner. Information provided by the church (see link to their website below) identifies the painting as the "Sabbath Breakers". Various tools can be seen including a pair of scales. 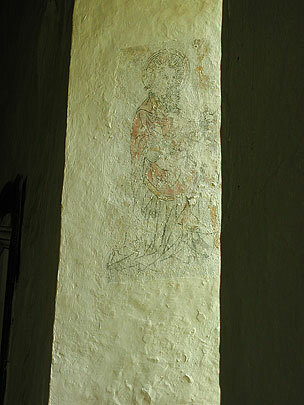 In the splay of a south aisle window a painting of St Nicholas. 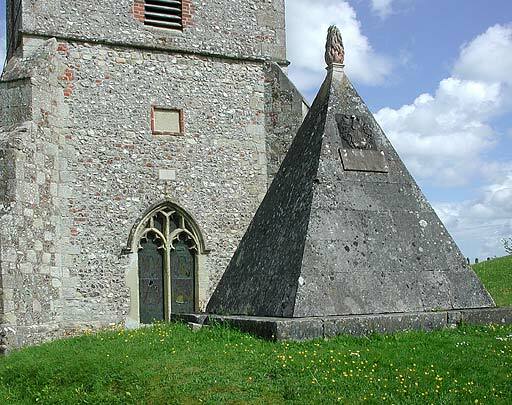 Pyramidal Mausoleum right opposite and close to the W front of the church. 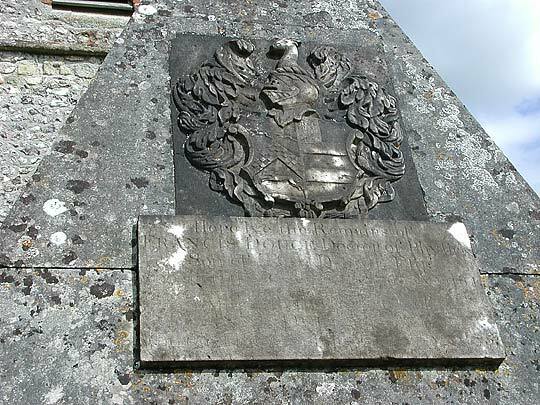 To Dr Francis Douce, died 1760.